Well, here we are at the end of July. Time is moving quicker it seems. I’m already seeing sweaters and boots in stores and school supplies as well. One benefit of practicing mindfulness is cherishing time as it is now. Not rushing headlong into an unknown future. Not pining for time long past. Just focusing on what is happening in the present moment. How do you typically answer that question? This week we’re asked to become aware of the smells around us. Sounds interesting doesn’t it? If you work or live in the city, you might be quite aware of certain smells like diesel fuel or trash. But what about more subtle smells? In rural areas it is quite common, especially in the spring, to catch a whiff of manure being laid on fields. But do you notice the scent of wet grass? And how about emotions that are triggered by certain smells? Does a particular perfume remind you of your aunt and the big hug she’d give you? Or perhaps the smell of oatmeal cookies brings back fond memories of your grandmother. 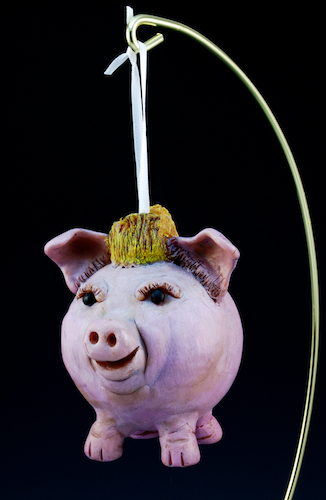 Odors can have a powerful effect on our mental-emotional state and our behavior. Smells can effect how we react to someone or some thing. In an instant, an odor reaches our nose, a perception is formed, and a reaction is triggered. This week become aware of smells. The good and the not so pleasant. Breathe deep the odors around you, from the freshly fallen rain to the clean laundry. Categories: Mindfulness, Networking, Philosophy | Tags: Ben Hogan, emotions, mindfulness, odors, philosophy, smells, smells trigger emotions | Permalink. 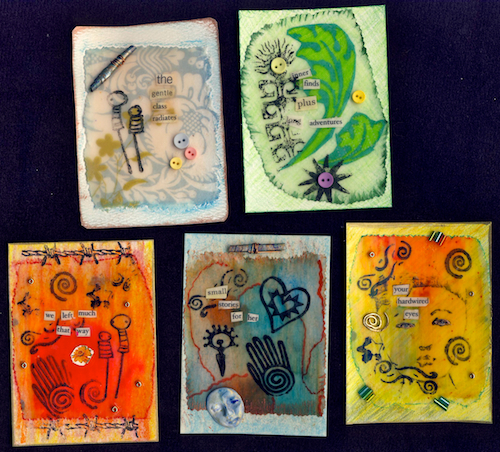 I’m happy to announce that I am teaching my new class, Found Poetry Artist Trading Cards (ATCs) on Saturday, August 25, 2012, from 10:00am to 3:00pm at Ink About It in Westford. 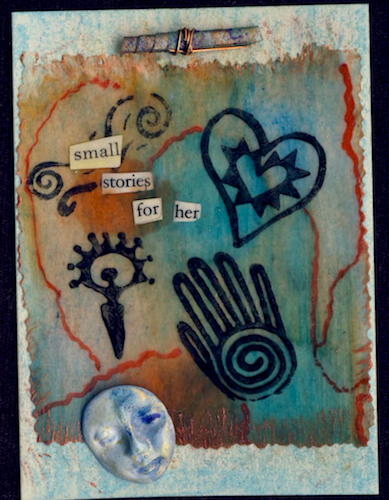 What are Found Poetry ATCs? 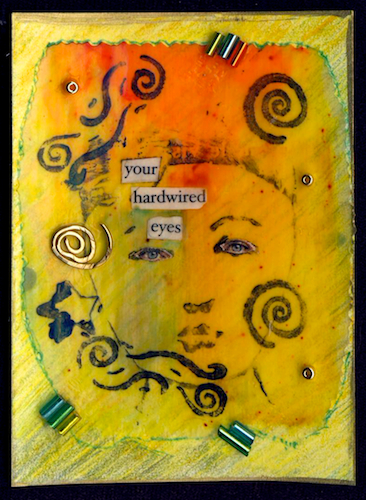 Found Poetry ATCs are the artistic blending of artist trading cards and the random expression of found poetry. 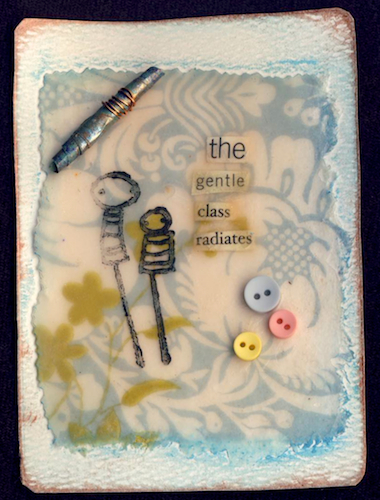 When combined, these two art forms result in funny, imaginative, and quirky ATCs. swap ATCs at the end of class. In class, you will receive a materials kit that includes polymer clay faces, napkins, ATC cards, paper beads, alcohol pads, a small palette, & white paper. 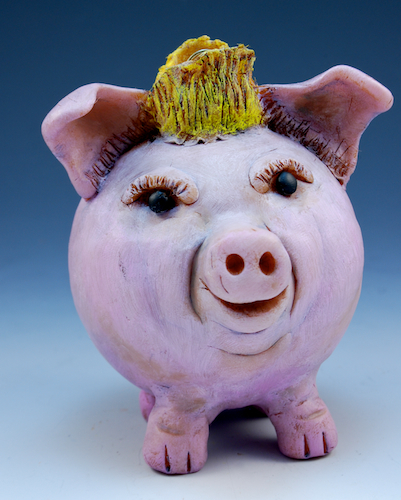 In this class, you get to play and experiment with liquid polymer clay, alcohol inks, rubbing alcohol, paintbrushes, colored pencils, water soluble oil pastels, black paint, rubber stamps, and ink pads. For an overview of the class, watch the YouTube video below. 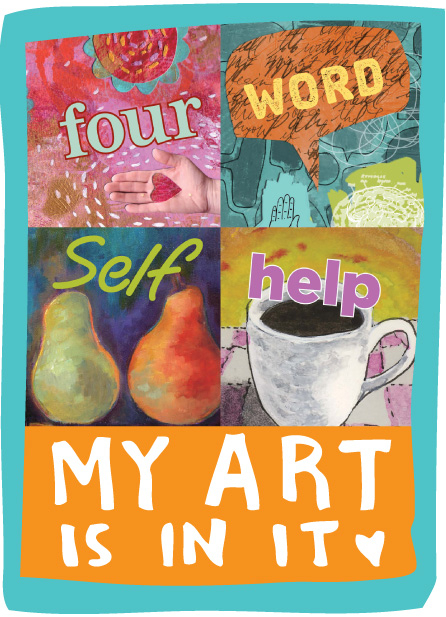 I hope you can join me on Saturday, August 25 at Ink About It for my Found Poetry ATC class. Categories: Amy's Art, Education, Mixed Media, Teaching | Tags: Artist Trading Cards, Creativity, Ink About It, liquid polymer clay, Mixed Media, Poetry, polymer clay classes, teaching | Permalink. Can you believe we are almost through the month of July? And that there are only 5 more months left in 2012? How are you feeling about your mindfulness practice so far? I definitely have weeks that are better than others. Sometimes I don’t think about being mindful until Friday; one of those “oh crap, I haven’t practiced this week” moments. Okay, so where were we? Ah, last week. Becoming aware of what is above us. How often did you practice “look up” and move your awareness beyond whatever is immediately in front of you? Well, what I just said about if you blow it one week you can start over? That was me. In fact the past couple of weeks have been challenging with other things being front and center in my mind. I am practicing mindfulness but in other areas not related to our weekly practice. It is still all good. The timeliness of this practice is curious as I’ve been working on branding in my business. Talk about an exercise in defining oneself! So how frequently do you define yourself each day? How often are you defending your position(s)? Is this an inherent aspect of human nature considering it seems to start when we are very young? What is the point of this practice? To become aware that this thing we call “self” isn’t something we can defend because in reality the self is a process of constantly changing sensations and thoughts. How can you defend something that is always in flux? Categories: Mindfulness, Philosophy, Spirituality | Tags: defending oneself, defining oneself, enlightenment, Lao Tzu, mindfulness, philosophy, Spirituality | Permalink. I’m happy to share with you Down on the Farm, my newest line of Ornimals: Sculpted Animal Ornaments. This line of ornies is inspired by the memory of visiting farms as a kid. 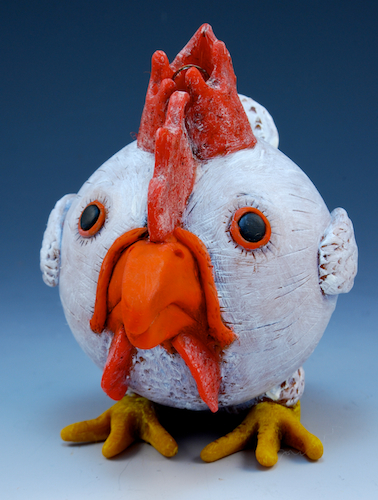 Growing up in the city, a school field trip to a farm was an eye-opening experience. For many of us it was our first exposure to “wild” animals. The cows were huge, the pigs stinky, the chickens would scatter, and the sheep were sweet. 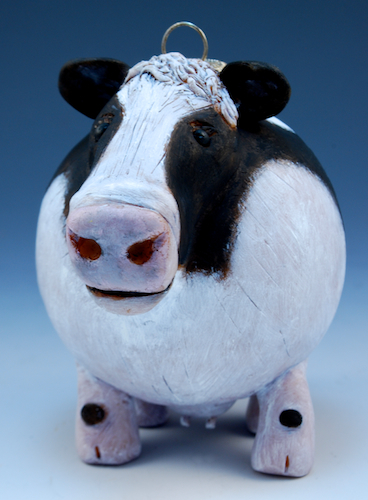 The animals in Down on the Farm stand approximately 3.25″ tall. 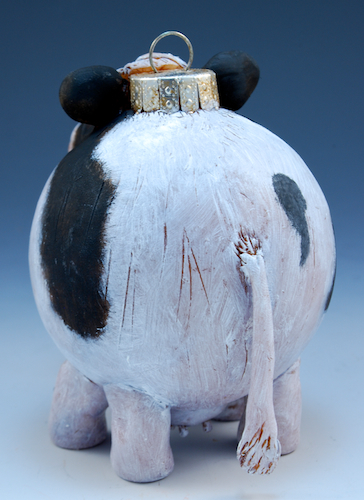 Yes, the cow has udders. 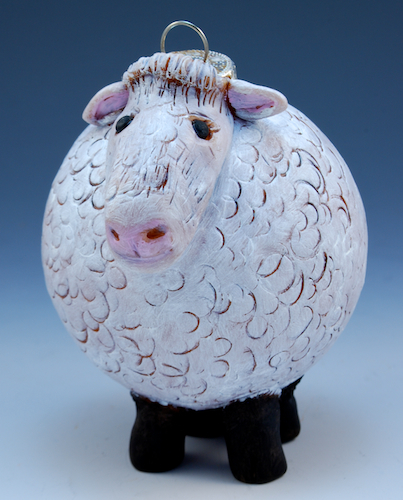 The Down on the Farm ornies are free-standing for year round display. Or, you could display them year round on an ornament hanger. Have a great weekend, from Down on the Farm. 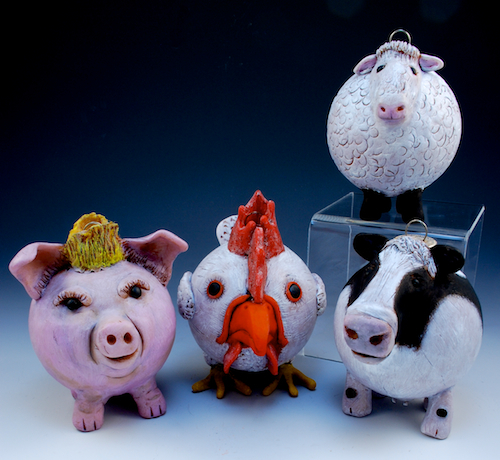 Categories: Amy's Art, Animals, Ornaments, Polymer Clay | Tags: BayPath Humane Society, chicken ornament, cow ornament, farm animal ornaments, Farm Animals, ornaments, piggy ornament, Polymer clay, sheep ornament | Permalink. Have you asked yourself why you’re doing this little business you’ve started? 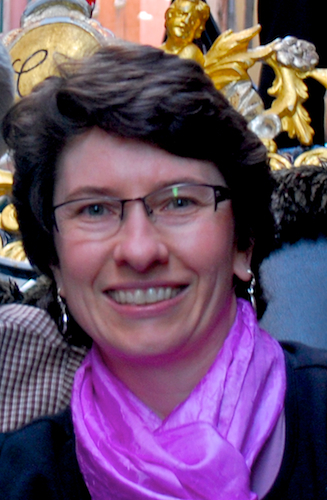 In my last Soloprenuer Wednesday post, An Introduction, I ended with it by saying I had no idea what I was doing when I sold my jewelry to my first customer. I was stunned that someone wanted to buy my jewelry when I hadn’t planned to sell anything. Guess I was just in the right place at the right time. So I made up a price on the spot (or shortly thereafter when I brought more pieces for her to look at.) I certainly didn’t know much about how to correctly price a product back then. But I’ll save the pricing discussion for a future post. After selling a few pieces of jewelry to this person, she asked me if I could make something for a friend. Sure, why not. I can do that. Toss out another price. Isn’t this cool, my ego tells me, you’ve got your first customer who thinks your work is great and you’ll do anything to keep selling stuff to her. Sure, great, but where is this taking me? Did I really enjoy making all this jewelry? And what do I do now with all these extra pieces when my first customer tells me that she’s being laid-off and can’t buy my work any more? My ego was very disappointed. Having an idea of what I wanted to do with my art might have prepared me a bit better. 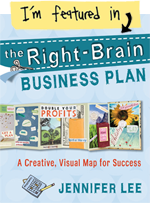 It’s possible that had I mapped out a plan before landing my first customer, it would’ve been quite some time before I sold a piece of anything. It’s possible that if I waited for perfection, I might never sell anything. I’m not saying that what happened in my case is the wrong way to do it. Serendipity has a way of presenting itself whether we’re ready or not. I am suggesting that having an idea or vision about why you want to sell your art (or whatever your product is) can make life a little easier. One way to understand why you are jumping into this little business of you’ve started is to think about values-values that are important to you and in a business. This can include any number of things from loyalty to honesty, community to connection, good customer service, hard work to happiness. Look at companies you admire. What values do they promote? Think about times in your life when you felt fully alive. Who were you being in those moments? What was going on around you? How can you bring those elements into your business? Make a list of all those values. Are there any themes you notice? Knowing your core values helps you make better business decisions because those values are honored in the decision making process. Reflecting back on those early days, I think my only value then was to make as much money as possible. However the luster of making money wore off at some point. 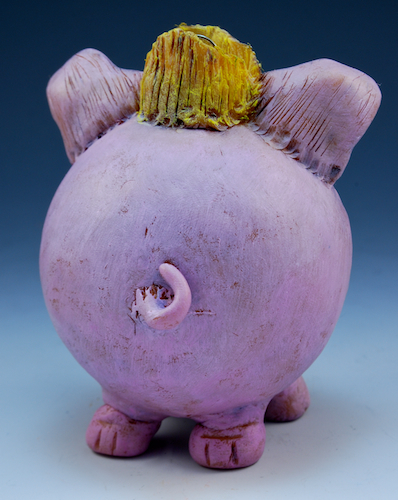 Because I eventually learned that if my values were not reflected in my work, then my work lacked meaning. I got tired of making functional art items. I didn’t enjoy making. I realized that there was more to running a business than just making money. It would’ve taken quite a bit for me back then to say “I’m sorry, I’m not selling my art at this time” or to turn down a commission piece. Now I know better because I make those decisions in conjunction with my values. What values are important to you in running your small business? Categories: Business, intention | Tags: Business, business values, entrepreneur, intent, making meaning, running a small business, solopreneur, values | Permalink. Last week we were asked to become mindful of water. To become aware of water in almost everything we encounter and in all its various forms. Becoming mindful of water during the summer season seems rather timely. Many towns in my area have signs posted asking residents to reduce their water usage-odd/even days for watering lawns, no watering after certain hours, etc. These requests don’t seem as severe as in years past when people were trucking in water to fill their pools or abandoning their pools altogether. Spending a few days on the coast of Maine reminded me of the power of water as waves crashed over rocks and I read stories of shipwrecks and lives lost. Looking out at the ocean it seems hard to believe that we could ever face a shortage of water. One thing I’ve learned about water is that you must respect it because water always wins. This Week’s Practice: Look Up! This week we are asked to broaden our visual field and look up. Look up at the ceiling. Look up at the sky. Instead of looking at what is right in front of you, change your perspective and look up. Broaden your mind. We spend much of our day going through the motions, looking straight ahead, and not even noticing if we’re conscious of what we’re doing. Sometimes we’re so caught up in our routine that when we stop to think about what we did in the morning, like brushing our teeth, we pause and ask ourselves “Wait, did I really brush my teeth?” Ever have that happen? “Looking” is not the same as “seeing.” There is a great experiment that asks people to watch a basketball game and count the number of passes one team makes. During the game, someone in a gorilla suit walks across the floor. When the people watching the game were asked about the gorilla, most people said they didn’t even see the gorilla. Why? Because seeing requires attention and when we focus one minute aspect, we miss the bigger picture. This week, look up! Change your perspective. Open your field of vision. Practice seeing. Categories: Mindfulness, Philosophy, Spirituality | Tags: awareness, look up, mindfulness, open your eyes, philosophy, Ralph Waldo Emerson, Vision | Permalink. Happy Monday! Ready to start this week’s mindfulness practice? Before we get to that, did you practice silly walking last week? Come on, it’s okay. A little silly walking in the privacy of your own home is a great way to break the negative voice from taking over. How can anyone stay annoyed when they use silly walking? Just thinking about it flips my negative thoughts. With the number of forest fires that have torn through the west this summer, becoming mindful of water seems rather timely. This week, we are asked to become aware of water in all its forms, both inside and outside of our bodies and our homes. Did you know that your body is 70% water? Saliva, blood, urine, joint fluid. We take in water all day long. Tea, oranges, soup. Without water we’d be a pile of dried up cells & salt. When it comes to mindfulness, consider how water moves. It flows without hindrance, over rocks, under bridges. What if we allowed our mind to be light and flexible, flowing (like water) with situations as they arise and change and not with energy-sapping resistance? If water is muddy and left undisturbed, the sediment settles to the bottom and the water clears. When your mind is agitated, can you still the mind and regain clarity like the water? This week, become aware of water in all its forms and how precious it is. This week, become aware of how your mind can become light, flexible, and clear, like the water. Nothing in the world is more flexible and yielding than water. Yet when it attacks the firm and the strong, none can withstand it, because they have no way to change it. Categories: Inspiration, Mindfulness, Nature | Tags: Fires in the west, Lao Tzu, mindfulness, Nature, Resistance, Water | Permalink.